4 Flashes Photo Booths is located in Dallas Texas and owned and operated by Jason & Vanessa Smith. 4 Flashes Photo Booth Services Dallas/Fort Worth & surrounding Texas cities. 4 Flashes Photo Booths has been offering vintage-style photo booth rentals in the Dallas/Fort Worth and surrounding areas since 2009. In 2012, Jason & Vanessa Smith began operating 4 Flashes Photo Booths and in 2014 they purchased the company. 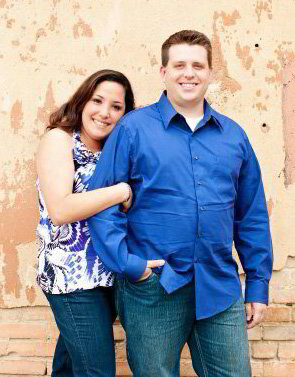 Both Jason and Vanessa graduated from Stephen F. Austin University in Nacogdoches, TX. By day, Vanessa is a school teacher and Jason is a commercial roofer. I was skeptical if our guests would even use the photo booth, but I could not have been more wrong!! Far and away more popular than our party favors that cost way more! !